For those in catering kitchens and the restaurant industry, food waste is a huge issue, and throwing out a vast quantity of produce is simply not an option that should ever be considered. 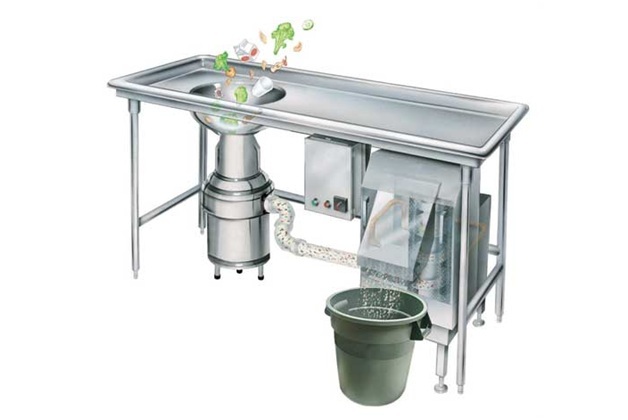 Unfortunately, due to a variety of factors, often unavoidable food wastage occurs, and this is generally due to poor planning, being unprepared or simply having the wrong systems and facilities. With food costs constantly on the rise, no commercial enterprise wants to incur food wastage, and there are also ethical factors attached to throwing out vast quantities of food. With the world wasting $400 billion dollars of food every year, commercial kitchens are focusing on this issue and reducing waste wherever possible. It’s not just restaurants and commercial kitchens that are responsible for food waste, but as these entities purchase large volumes they should be very conscious of contributing to this enormous problem. To avoid food waste, several measures can be put in place, and these are just some of the more common solutions to an ever-growing problem. Controlling stock levels is an essential measure that should be put in place, and kitchens should avoid over-buying fresh and perishable produce that may not get used. Simply because produce is available at a good price or is in season, it does not mean it will be used faster, and avoiding the temptation to overstock is vital. Placing orders properly is also a requirement, and requesting items in varying stages of ripeness can ensure that you have adequate stock that does not rot or go to waste when it is not used immediately. These simple steps can go a long way to reducing waste and give you better control over the stock in your kitchen. Proper storage of food is essential, if you leave food waste in your premises you run the risk of attracting vermin be it rats, mice, pigeons or seagulls. London Nuisance Bird Management company http://www.vvenv.co.uk/pest-control/by-service/bird-control/ are worth calling if you experience a problem. A safe measure to avoid the problem in the first place is to install Commercial refrigeration units to the correct temperatures and regularly check for efficiency. Bacterial growth is a major cause of waste, and by storing your perishables at the right temperature you can extend their life and ensure that your dishes are always bursting with freshness. Food should also be marked clearly and use-by dates displayed. This will ensure that food gets served before it’s reached its expiry date and that there’s no risk of contamination. A good storage system should be utilised, and kitchen managers should know exactly what food needs to be used when, in order to make sure it does not go off. By initiating proper portion control, you can save food and money, as there will be a reduction in leftovers and food won’t go to waste. For commercial kitchens, portion control is essential, as any food that is left over is essentially lost money. If your commercial kitchen has food that may spoil quickly, creating a special dish and promoting it can ensure that produce does not go to waste, or donating it to a charity can also be an option. These are just a few methods of reducing food waste in a commercial kitchen, and there are many other ways to ensure that you cut back on what you throw away.